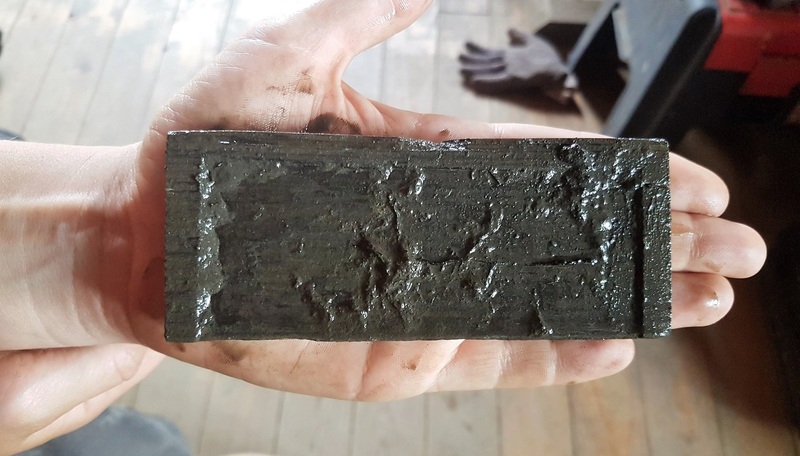 Archaeologists excavating the Roman fort of Vindolanda have discovered a new cache of 25 Roman writing tablets. 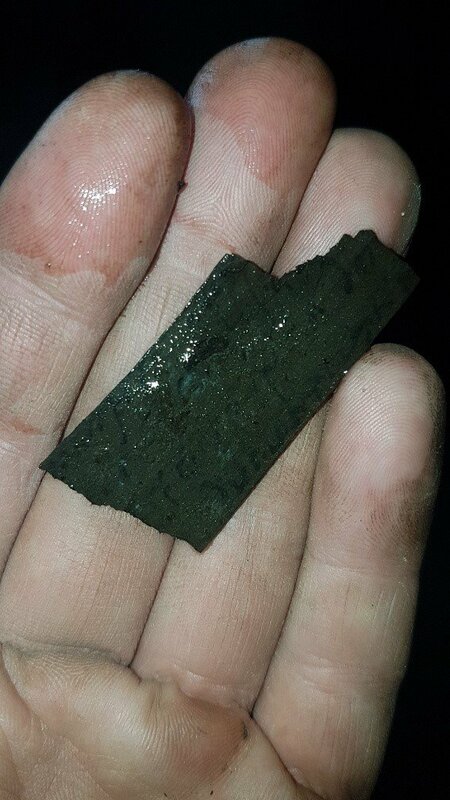 The wood tablets were unearthed in a sodden trench (it’s been raining a lot up there) on June 22nd in a small section less than 10 feet long. These invaluable records of daily life in a Roman fort on the far northern border of the empire date to the end of the 1st century A.D., which means they were written no later than 15 years after the first version of the fort was built. Many of them less than two millimetres thick, simple slivers of birch rather than the notebook-like rectangles you might think of when you see the word “tablet,” this incredibly rare group of letters, lists, official and private correspondence were likely part of an archive that was lost or unceremoniously discarded, albeit in a weird way. The tablets weren’t grouped together as they would be if they’d be enclosed in a bag or dumped in one spot. They were found spaced out along the trench at regular intervals. 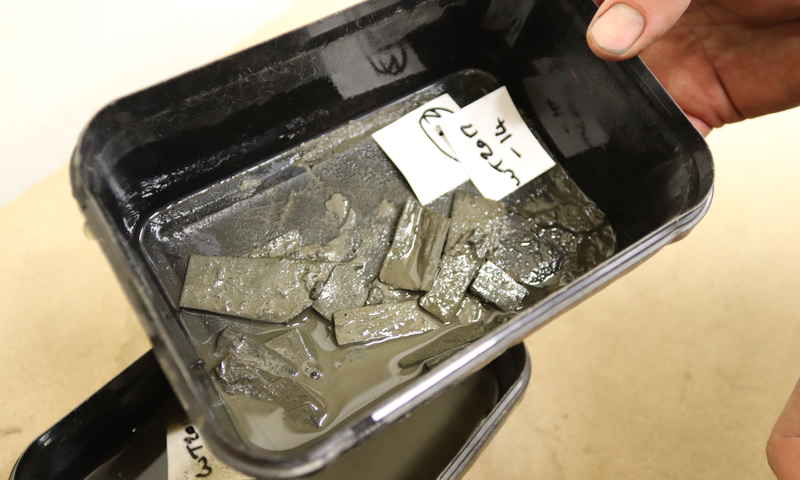 The archaeological team speculates that they may have fallen out of a bag with a hole in the corner, or else someone took the time to remove individual tablets and toss them into the rubble of a foundation layer every other step. Vindolanda was a Roman auxiliary fort and associated vicus (an independent civilian settlement) in Northumberland just south of Hadrian’s Wall. Multiple iterations of the fort were built starting with simple wood and turf structures in the late 1st century through to the stone forts of the late 2nd and early 3rd century. That last stone fort was repaired and occupied in fits and starts until the end of the 4th century in the twilight years of Roman Britain. That long, varied record of occupation was preserved for nigh on 2,000 years by the site’s anaerobic soil. Organic materials that would normally decay survived in the waterlogged mud of Vindolanda in exceptional condition, among them wood plumbing pipes, an inscribed barrel stave, the only known Roman wooden toilet seat, leather shoes by the thousands and of course, the artifacts voted the UK’s top archaeological treasure by British Museum curators, more than 1,700 fragmentary and complete wooden writing tablets. 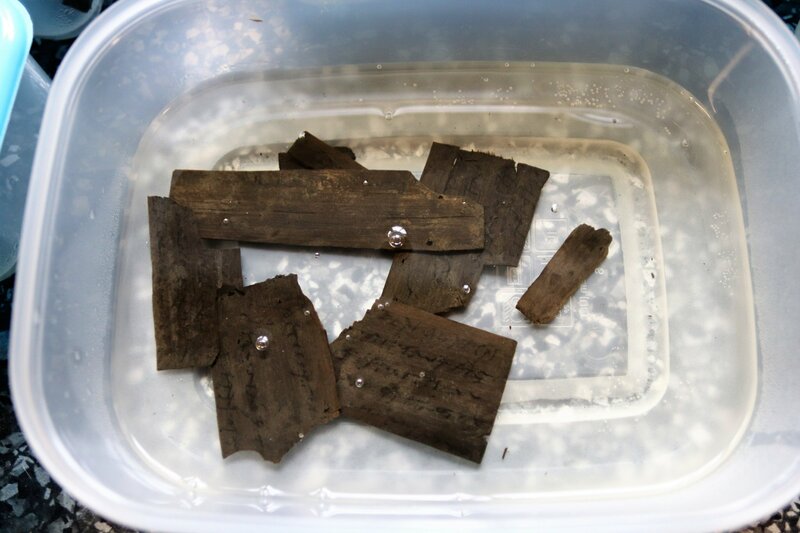 Ever since the first writing tablets were discovered at Vindolanda in 1973, individual tablets have been found during the ongoing excavations. One small but important fragment with four lines of ink writing clearly visible to the naked eye (many tablets have no visible ink remaining and can only be deciphered using infrared photography) was just unearthed on June 15th. It dates to between 92 and 105 A.D. Not exactly a writing tablet because there is no ink or lettering on the surface, but just five days later archaeologists found a wooden stylus tablet that once held a wax layer on which letters would be written. A cache of writing tablets is a much different and rarer animal, however, even in the miraculously soggy soil of Vindolanda. The last time a tablet hoard was found was in 1992 and it was massive, containing hundreds of writing tablets. This batch is far more modest in size, but it has some singularly important features. Like the fragment discovered the week before the cache, several of the writing tablets in the group have readable ink. This is immensely exciting to archaeologists because they don’t have to wait for the painstaking process of conservation followed by infrared photography before they can even attempt to decipher the spikey Latin cursive. 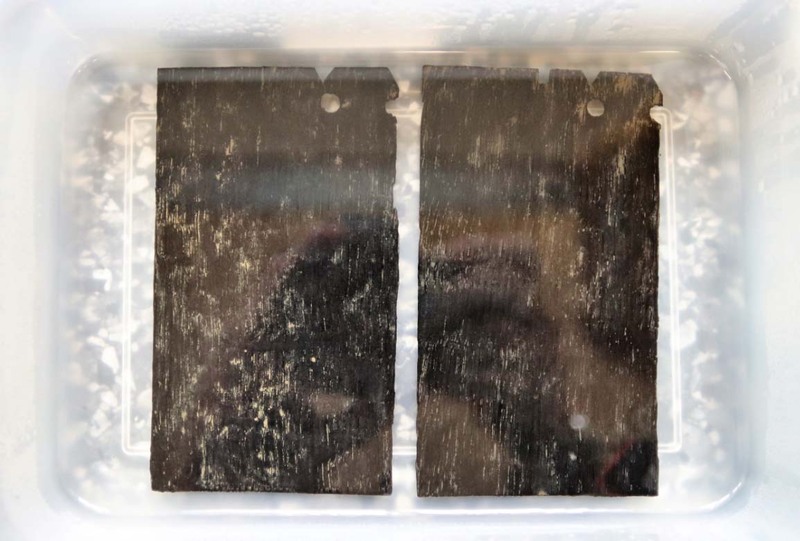 The oak confronting tablet is not legible at the moment because oak darkens over time much more than birch, but the team is optimistic there may be sufficient ink on the surface to be detected by infrared imaging. Some of the names in the letters have been deciphered already because they’re known from previously deciphered tablets. One character named Masclus makes a second appearance after a very memorable first one. In the first letter from Masclus discovered at Vindolanda, he asked his commanding officer to send more beer to his outpost on Hadrian’s Wall. In the tablet discovered last month, Masclus is asking to be granted leave (commeatus), possibly due to a crippling hangover. 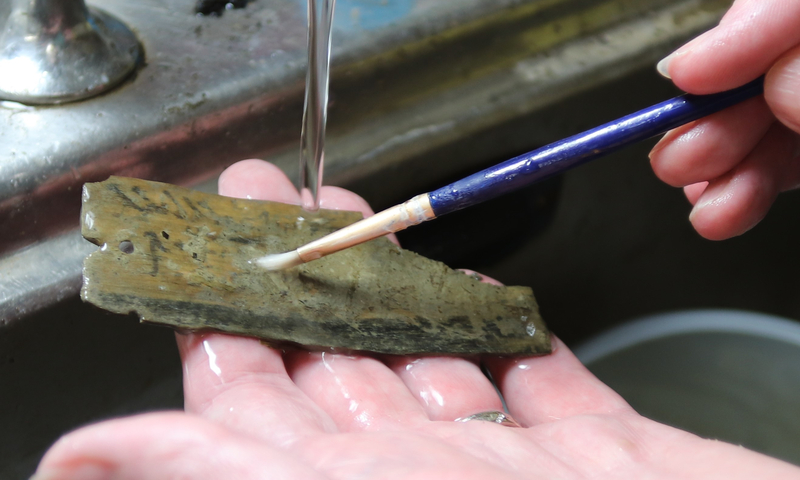 Cleaning and conservation of the tablets has already begun — you can’t waste any time when keeping organic archaeological materials from decay once they’ve been exposed to the air — and once they’re clean and stable, the writing tablets will be analysed using infrared photography so the ones with faded ink can be read and translated. 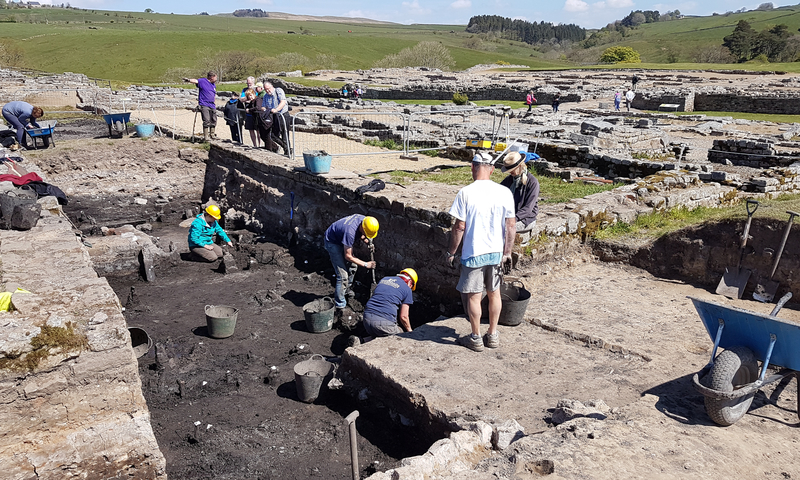 For more about the endlessly fascinating (and endlessly wet) work of the Vindolanda archaeological team, follow Digging Vindolanda, a blog of the seasonal digs by one of the volunteer excavators. This entry was posted on Monday, July 10th, 2017 at 11:13 PM	and is filed under Ancient. You can follow any responses to this entry through the RSS 2.0 feed. You can skip to the end and leave a response. Pinging is currently not allowed. Now if we could only find out what kind beer Masclus favored, that would be write on! Another tablet might provide the answer. So cool! Went to the blog link at the bottom, Digging Vindolanda, and have bookmarked it because it looks really interesting with lots of photos. “what kind beer Masclus favored”: Newcastle Brown I suppose.